Plant non indigenous eucalypts for firewood, timber products or seed. Both of these options can easily be incorporated into a sustainable biorich design. If the main purpose of the plantation is to improve biodiversity and to provide habitat for endangered wildlife then the indigenous species would need to be the main eucalypts planted. The habitat and food that they provide would be integral to the survival of local endangered wildlife. The introduced income generating plants, in this case timber eucalypts, would need to be kept at 20% or less of the total number of planted species. A higher proportion of introduced species planted specifically for profit would likely compromise the biodiversity values of the biorich plantation if their proportion exceeds 20%. How much income could planting 20% specialty eucalypts provide? If 1 hectare is planted for biodiversity this will usually include 1,000 mixed species of trees, understorey and shrubs if they are spaced at 3 meters between plants which is a commonly used spacing. The specialty timber trees would account for 20% of the 1,000 or 200 trees. If half of these grow into straight healthy trees and are form pruned (all the side branches are removed when they are less than 2.5 cm diameter) to between 6 - 10 meters above ground level and are sold as logs after 20 years for $400 per log. This estimate is based on current value of plantation grown saw logs. The income for this hectare of sustainable biorich landscape would be $400 x 100 = $40,000 or $2,000/hectare/year. If the logs are cut into slabs and air dried for 12 months their value is likely to be doubled or more depending on the timber quality and its ultimate use in construction or furniture manufacture. If you plant ten hectares just multiply these figures by ten and so on. In Sustainable biorich design tall indigenous eucalypts are planted in clumps of 5 - 10. These clumps are spaced between 20 - 30 meters across the area to be revegetated. This is the historic spacing of old paddock eucalypts in a mature woodland or dry forest and results in about 20 clumps per hectare. The intention of doing this is to allow for 'natural selection' to decide which of the 5 - 10 trees survives over the next decades, so only the strongest and fittest tree will be left standing. This is natures way of ensuring that the best adapted of each tree species survives into perpetuity. Within each of these clumps eucalypts, one or two of the weakest trees in the clumps could be harvested for firewood or the one with straightest habit could be form-pruned to produce a valuable straight log for harvest in 20 years. Some eucalypt species are valued for their timber for firewood, building materials, furniture manufacture or craft wood. Eucalypts planted for profit can be planted in much larger clumps for convenient and efficient pruning and harvesting. At Ballarat Region Treegrowers biorich plantation demonstration site, the forestry eucalypts were planted in clumps of 50 with a spacing of 3 meters between each tree. If you look at the design on the 'biorich plantations' link below you will notice that the forestry trees have been planted beside the access track for ease of access and management. Also shrubby understorey species were planted between the clumps of forestry trees to create a shrub layer for small birds that will help control insect pests in these eucalypts. One of the most popular firewood trees is the Sugar Gum, Eucalyptus cladocalyx. It has a reputation for fast growth that will produce trees ready for their first coppice within 10 - 15 years. Following cuts for firewood can then be made every 5 - 10 years thereafter. Sugar Gum is unsuitable for frost prone areas but its susceptibility to frost can be overcome by planting a frost hardy nurse acacia like Black Wattle, Acacia mearnsii one year in advance of planting the Sugar Gums, which are planted within 30 cm of the nurse acacia. The nurse acacia is harvested for firewood after 5 years or when the Sugar Gums are established enough to cope with frost which is usually when they grow to 2 - 3 meters tall. Coppicing Sugar Gums in frost prone areas should be done in the months without an R (May,June, July, August) to minimise the risk of severe frost damage to the regrowth. All eucalypts can be harvested for firewood, however some burn hotter than others. Dry Sugar Gum is one of the hottest burning woods whereas Manna Gum, E. viminalis and Blue Gum, E. globulus produce significantly less heat. Timber trees fall into several categories. 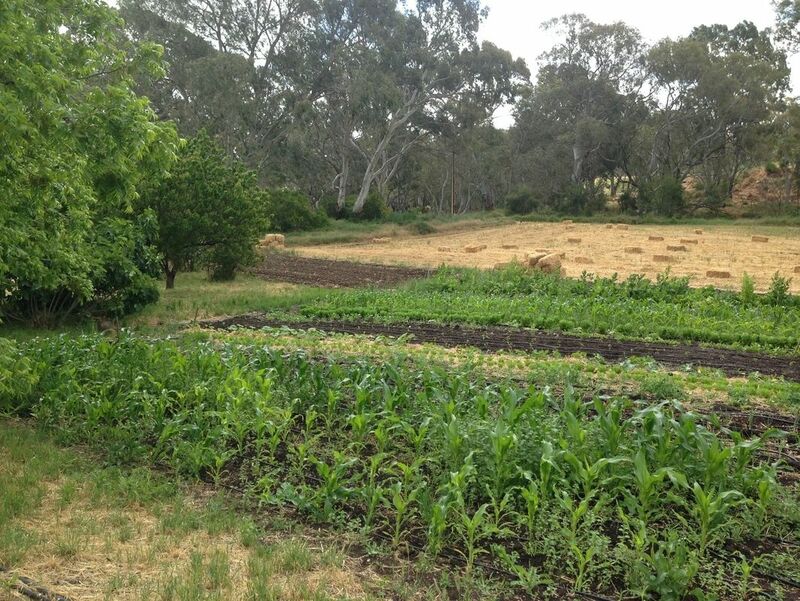 'Permaculture' is an Australian design system that emerged in 1978 with the publishing of 'Permaculture one - a perennial agriculture for human settlements' by Bill Mollison and David Holmgren. It proposes the planting of integrated systems of useful plants employing animals to help with their management. For example chooks and pigs are used to work and manure the soil in preparation for planting crops. 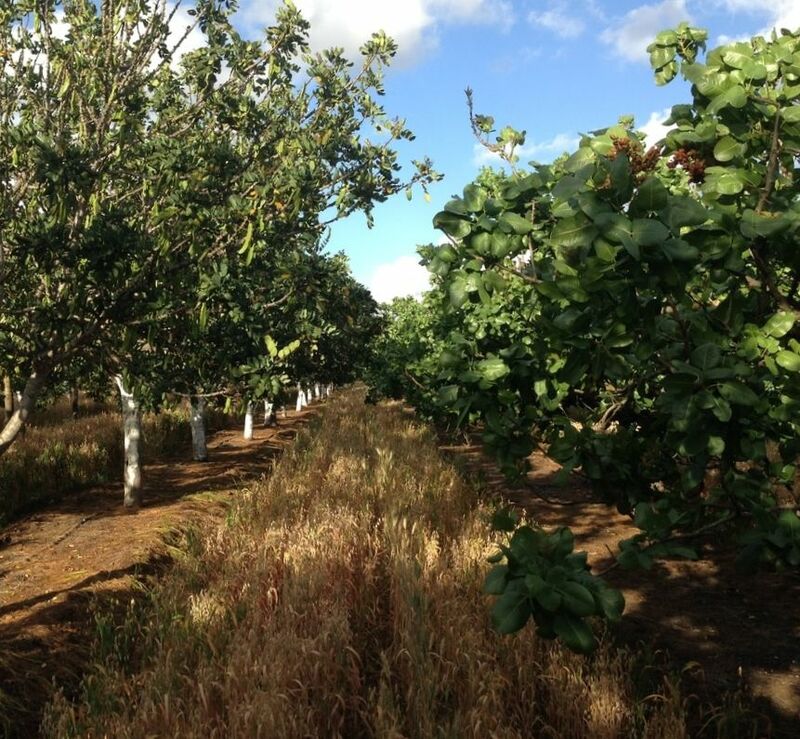 Pigs and chickens can also be run in orchards to clean up fallen fruit and to control insect pests while adding fertiliser to the soil. The book discusses similar relationships and systems that can be adopted in temperate and tropical climates. The overarching philosophy of permaculture is to 'work with nature', cut down on waste and to minimise the environmental impacts of human settlements. The Permaculture design system and ethic has been adopted worldwide and there are now many books published on the subject which include 'Permaculture two' and 'Permaculture, a designers manual', both by the originator Bill Mollison. 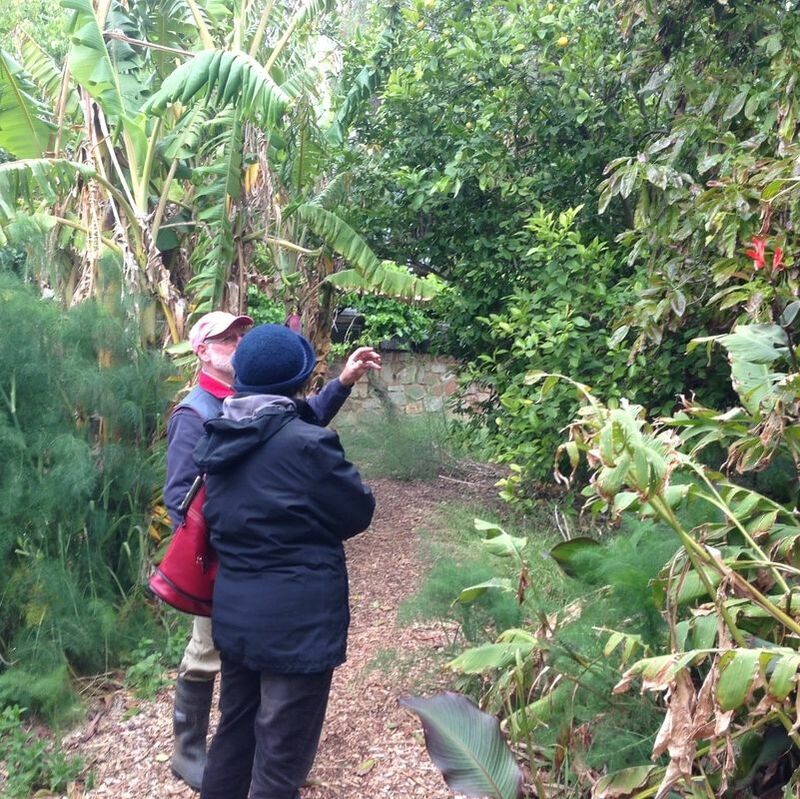 The permaculture design system divides a property loosely into 5 zones. Zones 1 - 3 are quite intensively managed for food and other products and are sited close to the residence for efficiency. For example the most frequently visited is zone 1 which therefore should be closest to the residence and includes produce you need in a hurry like culinary herbs, veges needed often like lettuce, tomato, capsicum and the chook house where eggs are collected and edible food scraps are thrown out daily . Sustainable Borich plantings fit nicely into zones 4 & 5 of permaculture. These zones are natural areas of native and exotic plants that are occasionally harvested for products like firewood, saw logs, cut flowers and other products. 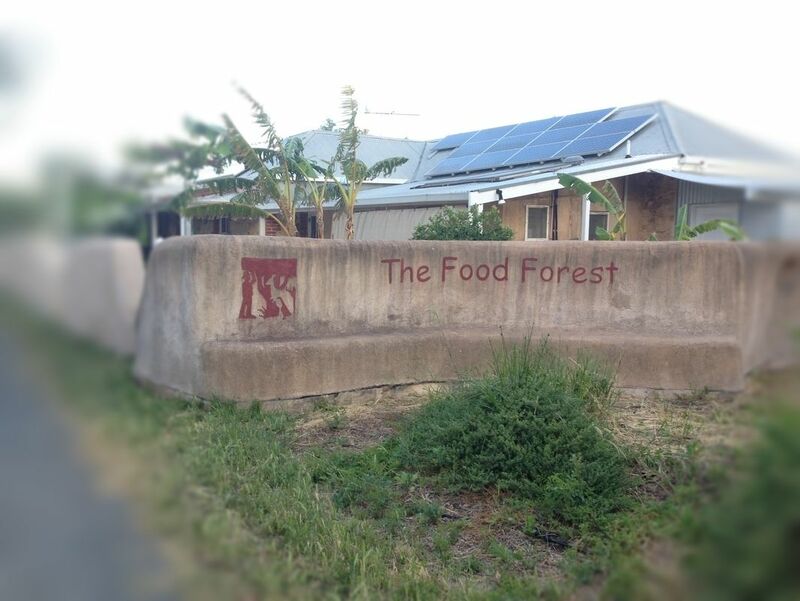 The Food Forest is a working example of permaculture, near Gawler, South Australia, that has been evolving for thirty years. It is the passion of the founders Graham and Annemarie Brookman who have built the enterprise as an integrated farm of perennial tree and vine crops which is weeded and fertilised by a large flock of geese. They also grow commercial annual vegetable crops integrated with chickens, utilise all their household and property waste to irrigate and fertilise a large orchard. The property also has significant areas along the Gawler River that have been revegetated and set aside as wildlife corridors. 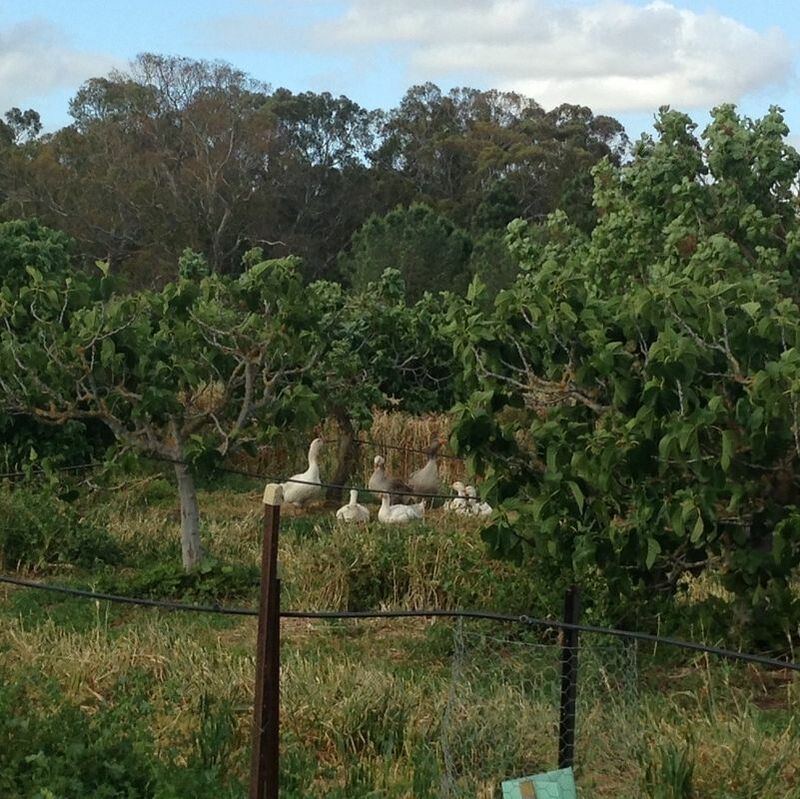 The geese manage the weeds and the surplus numbers are sold as an organic meat product. 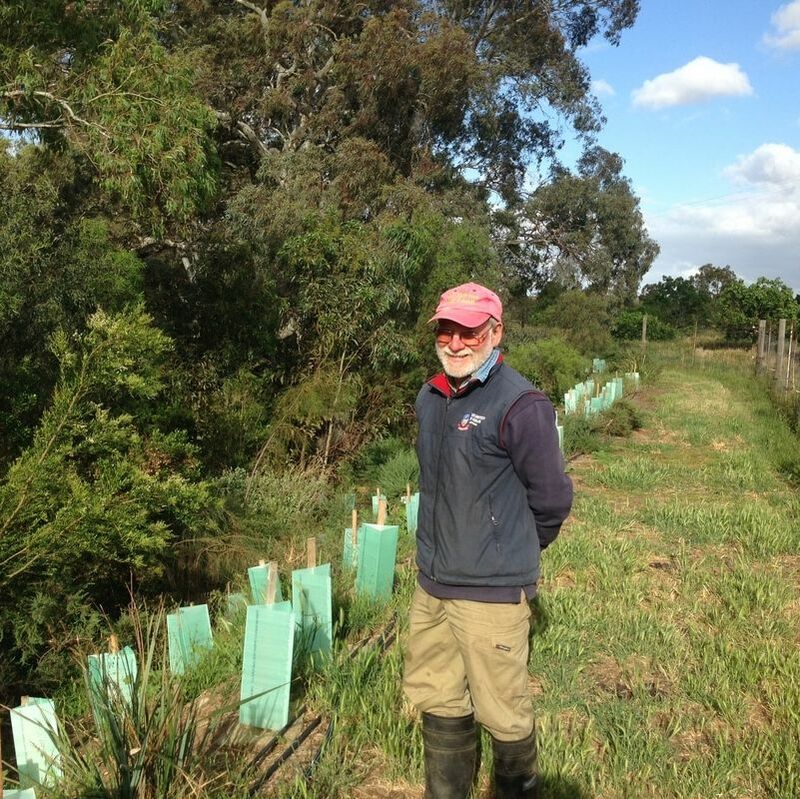 Graham Brookman checking his revegetation site planted with a mix of indigenous species on the bank of the Gawler River. 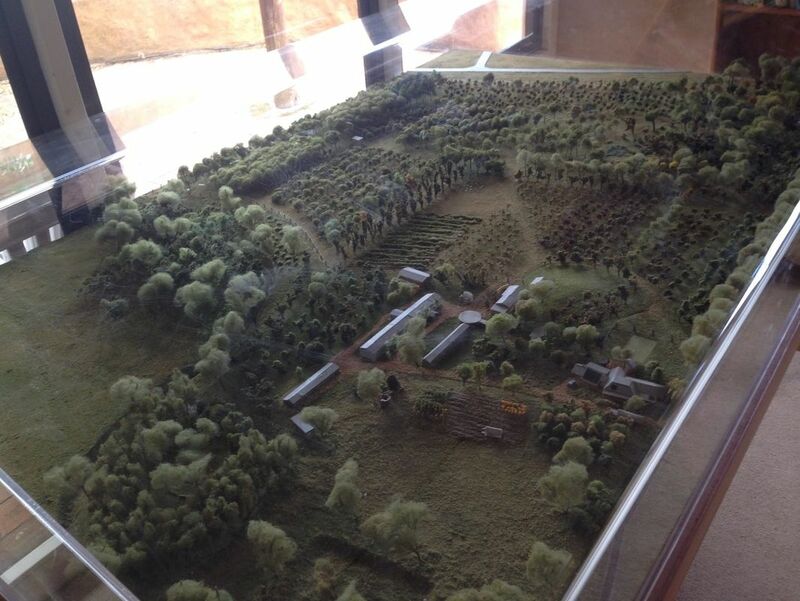 'Analogue Forestry' was developed in the tropical climate of Sri Lanka in the 1980's to address environmental and water quality problems and to break the poverty cycle in rural villages. Analogue Forestry mimics the natural structure of the local bush but its emphasis in on useful plants for food, fibre and other marketable products. Analogue forests are diverse but the plants are not selected for their benefits to wildlife. This design system may have 80% or more of plants species intended for human use. Its biodiversity values will be significantly less than a Sustainable Biorich Landscape that is mainly planted to provide habitat for Australian wildlife with potential income options built in. To read more about analogue forestry design for temperate climates click on the link below.